Zomby is an electronic artist who began releasing music in 2007. He has released music on several labels, including Hyperdub, Werk Discs and 4AD labels. 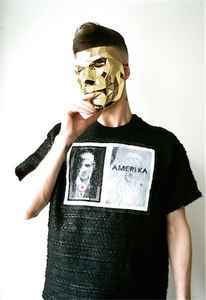 Zomby's influences are wide ranging, including that of jungle music and Wiley's eskibeat sound. The dude seems like a right douche. His music on the other hand is not too shabby! BORING , to have all this equipment and output this is a joke . I thoght i was playing the lp at the wrong speed ! i wasn't , this is dull . I personally like Zomby's twisted 8-bit sounding ghetto tunes with their big snares, rigid claps, bloops, bleeps and all sorts of other lofi noises he can produce. Some of his tunes are heavily influenced by what i can only describe as noise... sounding like they are just sounds that an 80's spaceship would make orbiting earth with really weird random arpeggio-ed Gameboy sweeps and bit crunched claps that have no reverb on them at all leaving the tracks very sparse and empty but at the same time makes you want to hear them again and again, over and over. Zomby's biggest songs for me are his Hyperdub releases, "Mu5h", "1up" and "gloop" are, for me, his biggest songs to date bringing some big style gangster beats with the most minimal sounds i have ever heard, which leaves me listening again and again to try and figure out how he makes the song sound so full and Big. Keep up the big releases Zomby!